This project consisted of the preparation for and the installation of pavement. Scope of work included clearing and grubbing of area; erosion control; earthwork and grading; lime treatment; installation of storm drains and water systems; removal of lime; paving of driveway, parking stalls, as well as the converging pavement and walkways. Although the project simply required the installation of pavement and storm drains, the work was greatly complicated due to the rugged terrain of the location. The site was properly cleared and grubbed and erosion control was implemented, allowing for the completion of earthwork and grading. With these necessary steps complete, the ground received lime treatment and storm drains and water systems were installed. After the lime-treated trench spoils were removed, the site was prepared for paving. 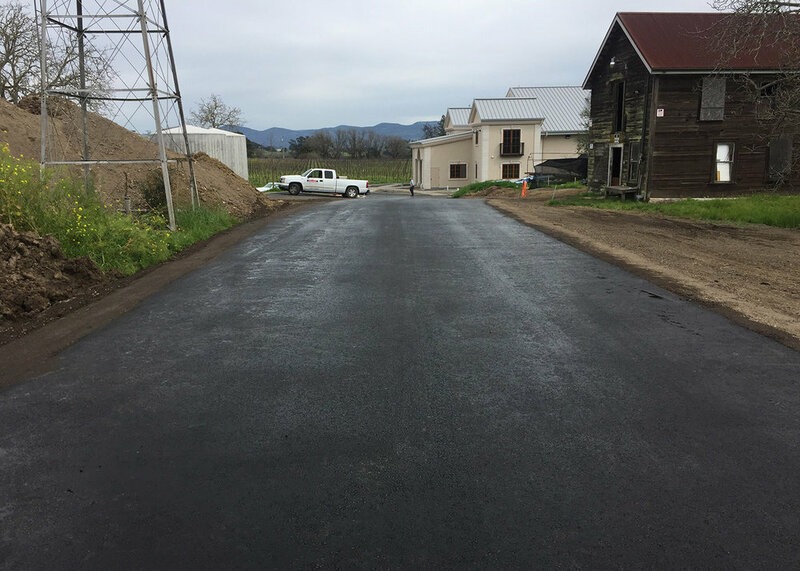 The winery’s driveway, parking stalls were paved and painted, as well as the areas of converging pavement and walkways.